Last year, when I wrote my sewing year in review, I did a more thorough analysis of my work, of the things I tried and of what worked and what didn't. 2014 was a year of stretching myself and of trying new things. This year was the year of bread and butter sewing and finally finding my style. In years past, I didn't feel like I necessarily had a style or aesthetic of my own. I would look around online and would find inspiration and incorporate it into my own projects. I did a little of this and a little of that. I relied heavily on scrolling through Flickr in the early days, and then Pinterest and blogs. It would take me a long time to brainstorm projects and it was often difficult or frustrating. This year, I feel like, after almost 8 years of regular sewing, my own style emerged. I could finally look at a pattern and instantly see what I wanted to make with it. It totally energizes me and I absolutely love that part of the process. Now brainstorming is the easy part. I currently have a list of something like 15 projects I would like to make. Executing those projects is another story. My project lists are almost always seasonal and I never get to everything. But that's ok, too! Most of the garments I sewed this year were simple, clothes for everyday wear. In the past, when I sewed fancier or more complicated patterns, they would sometimes hang in the closet, unworn. As I scroll through these mosaics nearly every single item I made was worn on a regular basis. I became comfortable sewing with knits and even grew to love them! I continued to sew Ottobre patterns and 14 of the items I made this year were from Ottobre magazines. I made a total of 53 garments this year, which is funny because my goal was to make one garment a week. However, my total was heavily influenced by the 15 garments I made in December, meaning more than a quarter of my 2015 sewing happened in one month! Finally, one of the best things I did in 2015 related to sewing and overall creativity was to join Instagram, especially given the dramatic slowdown in blogging in 2015. I had previously joined Instagram years ago and it felt more like Facebook, so I was reeeaaallly hesitant to join again. I do not at all enjoy reading rants, controversy, or diatribes about political views, etc. So when I joined Instagram, I made the decision to only use it as a creative outlet, to connect with other sewers, homeschoolers and photographers. Maybe more like a creative "LinkedIn"? That has been fantastic! 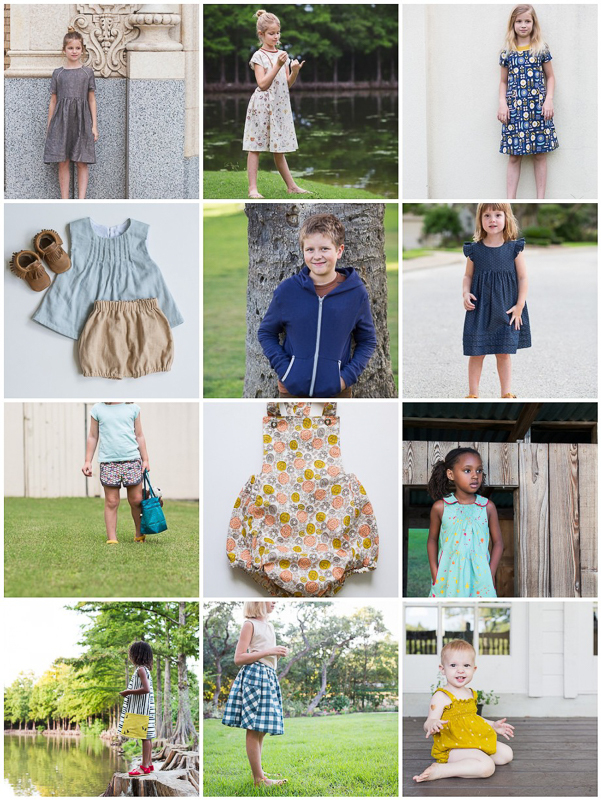 I have found so much inspiration on Instagram for my sewing, our homeschooling and even our home life. I have connected with some really incredible people that I had previously not known and I deepened connections with others. There is just so much support and knowledge there. It is truly an amazing, positive - and just plain fun! - place. If you haven't joined, you might want to consider it, too! Holy moly, woman, you are prolific!! I love your makes this year. Looking through the pictures, I do see your clear style shining through. I never would've said you DIDN'T have a strong personal style - I come to YOUR blog for inspiration, and always have! - but it's very strong in these images. Clean, pretty, warm colors, simplicity ... I love it! What a great year, and here's to lots of sewing in 2016! Thanks so much, Laurel! Happy New Year! You have mad some beautiful things! So inspiring! Thanks, Alex! Thanks for stopping by and happy new year! Love your style and sews and pictures and family! Congratulations for a great year of making, Rachel! I can't even pick a favourite as I love so many of them. As much as the fancy clothes are fun to make for a special occasion, I find that I definitely gain the most satisfaction from everyday ones. It is just so great to see them being worn :) Your everyday items have such style and simple sophistication that your kids are getting to wear their fancy clothes all the time! Lucky ducks! Thank you so much, Marisa! Happy New Year! I have the same feeling about my own style: in the beginning I would just buy every colorful fabric I liked, which resulted in a closet full of not-matching clothes. Although I still like lots of things, I notice my taste becomes a little less abundant and childish. Nowadays, I like to sew with special fabrics (like wool or knits or voile instead of quilting cotton) in plain colors or with less showy prints. I think we are heading the same way! I would describe your style as simple yet stylish, with lots of gathering (oh how I love gathering) and in earthy colors. Continue like this in 2016, I love reading here! You are exactly right. I don't sew with a lot of quilting cottons anymore, either. And I do love earth tones! Happy sewing, Eva! And happy new year! You have a wonderful style and I always enjoy reading your posts! Thank you so much! You are such a talented seamstress and I love when I can catch glimpses of your work! Big hugs! 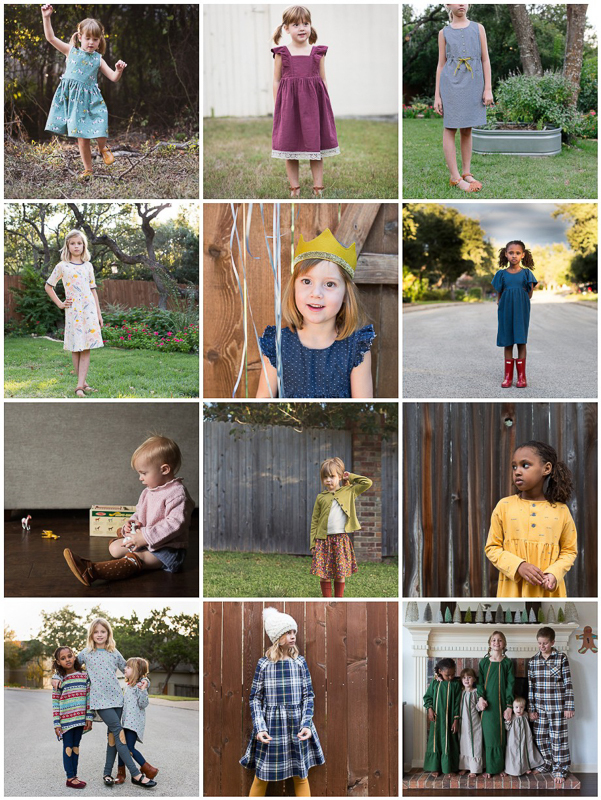 Wow wow wow, such beautiful photos of such beautiful garments on such beautiful children! Thank you for sharing with us, you are a constant source of inspiration!! Holy cow, that is a lot of sewing! I never thought to count over how many things i've actually sewn...hmm...now I'm curious! I think it's interesting that you think that you've finally just found your style, b/c I've always been attracted to your style, subtle, classic and beautiful! Always! You and your sewing are always inspiring me! 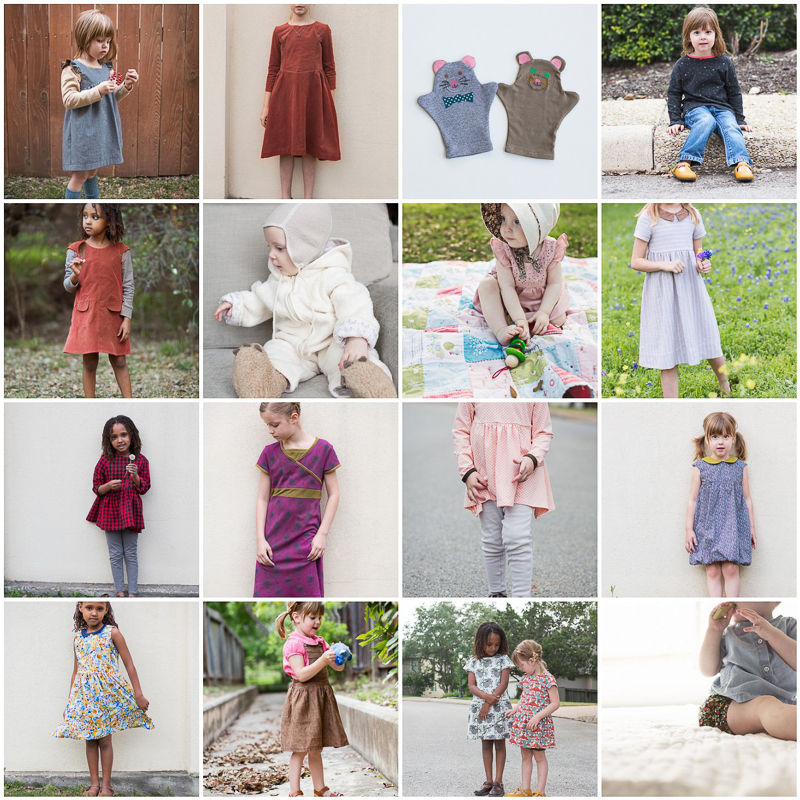 What a lovely, inspiring year of sewing! And to scroll back and see that the things were worn- that's such a huge win. Thank you for sharing your gorgeous family and creations in this space.